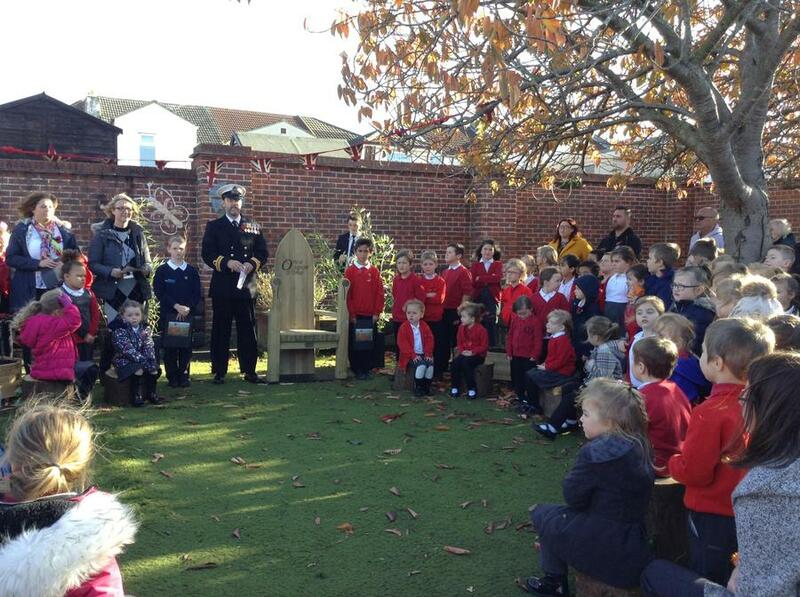 Today we held a Remembrance Day service in the playground, led by Mr Lett, a member of the Royal Navy Reserve, as well as a teacher at our school. 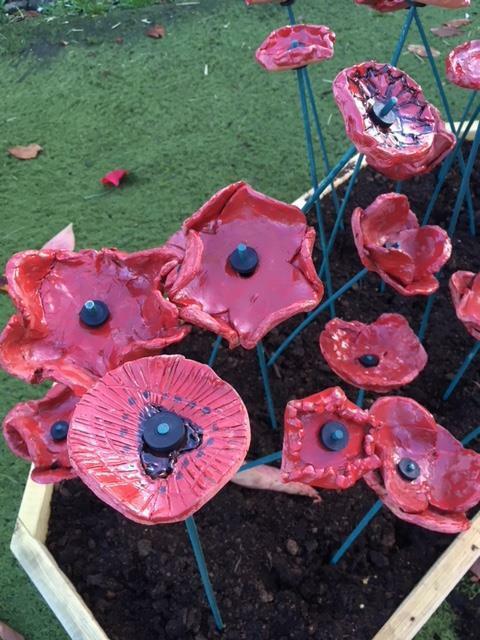 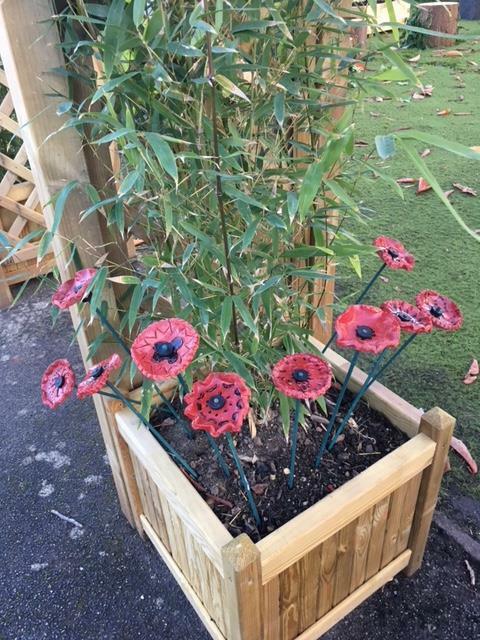 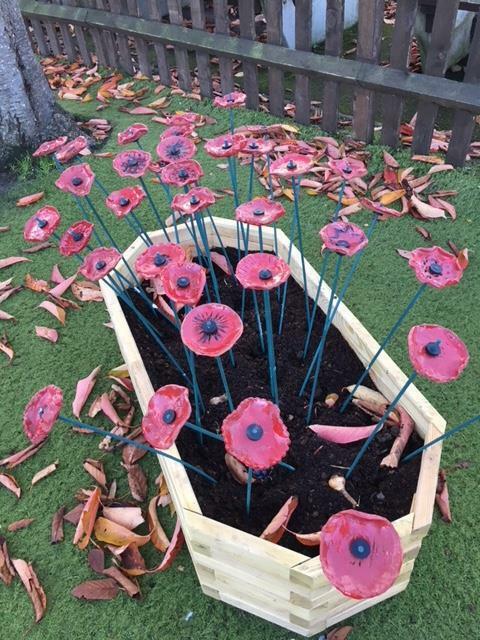 We were joined by lots of parents who admired the ceramic poppies made by the children. 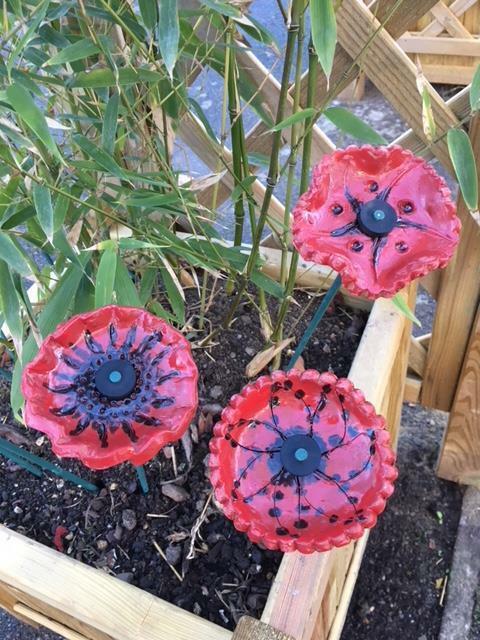 We worked with Bay House to have these ceramic poppies put into a kiln and glazed. 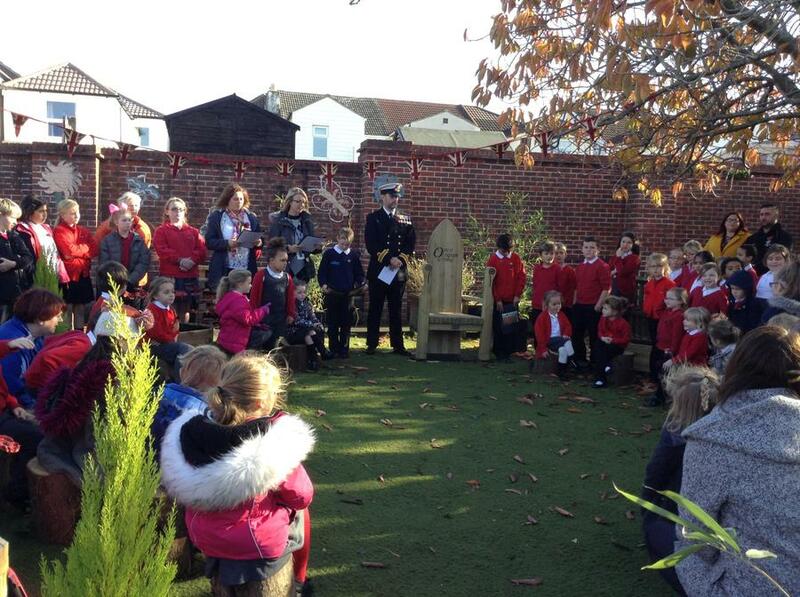 It was a touching service and we very much enjoyed sharing it with members of the local community.